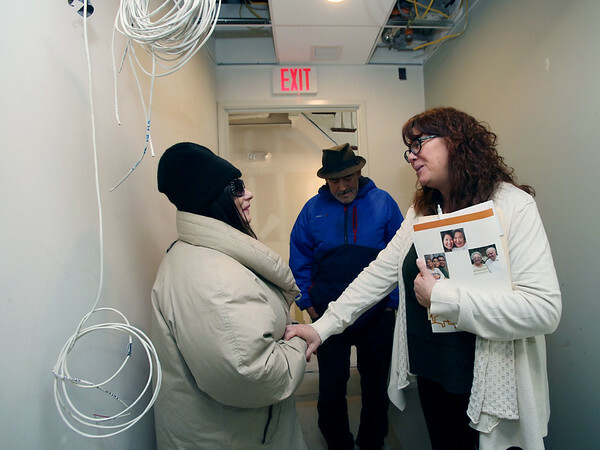 Ken Yuszkus/Staff photo Theresa Marrapodi, left, and Harborlight Community Partners fund raising co-ordinator, Bethany Blake, right, talk in the hallway. Fred Evans is in the background. Harborlight is finishing a new housing complex for the homeless, or formerly homeless, at 43 Boston Street in Salem.